Here’s a fun recipe with all the healthy goodness of Manuka Honey! 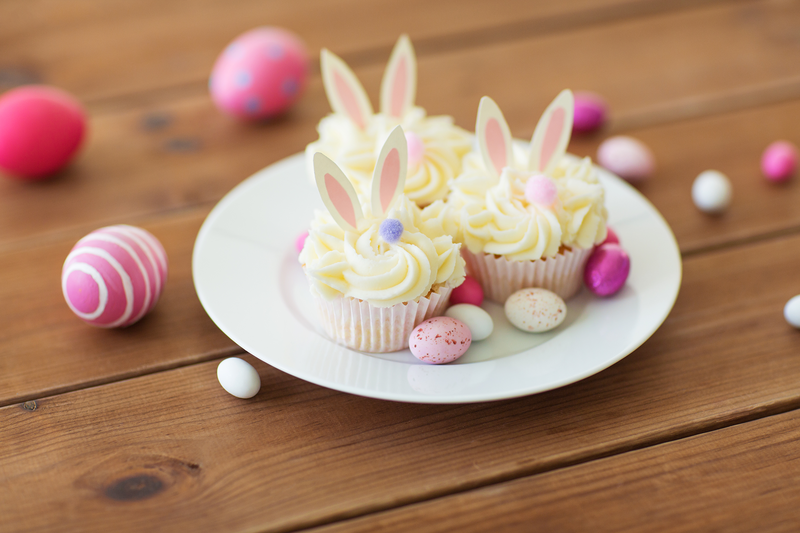 Enlist your kids to help you and unleash your creativity with the cupcake decorations! We had fun crafting ours with mini Easter eggs and bunny ears. Preheat oven to 350°. Prepare a 12-cup baking tray by lining it with cupcake cases. In a large bowl, cream butter and sugar until almost white. Add Manuka Honey, eggs and buttermilk, then mix until well blended. In a medium bowl, sift flour and baking powder. Add to Manuka Honey mixture and mix thoroughly until combined. Transfer to cooling rack. Allow cooling completely before icing. Cream together all ingredients until well blended. Decorate as you wish. Happy Easter! Previous Why We ❤️ New Zealand! Next Manuka Honey Is a Perfect Sugar Substitute. Here’s a Handy Baking Guide!